We received an email from a lady named Kelly regarding her son Jack's upcoming birthday where he was turning 8 and invited his class to attend his birthday party. 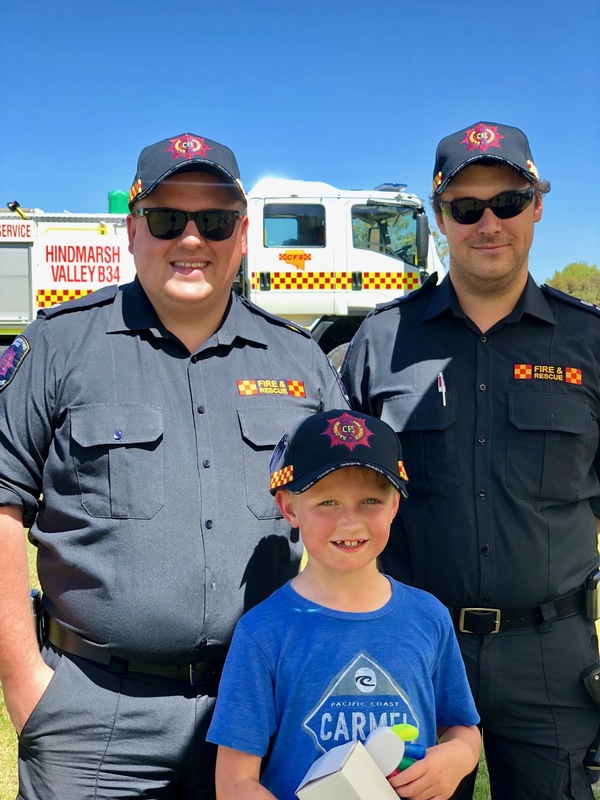 In lieu of birthday presents, Jack requested for his guests to make a donation to purchase CFS Trauma Teddies for his local CFS Brigade - Hindmarsh Valley. 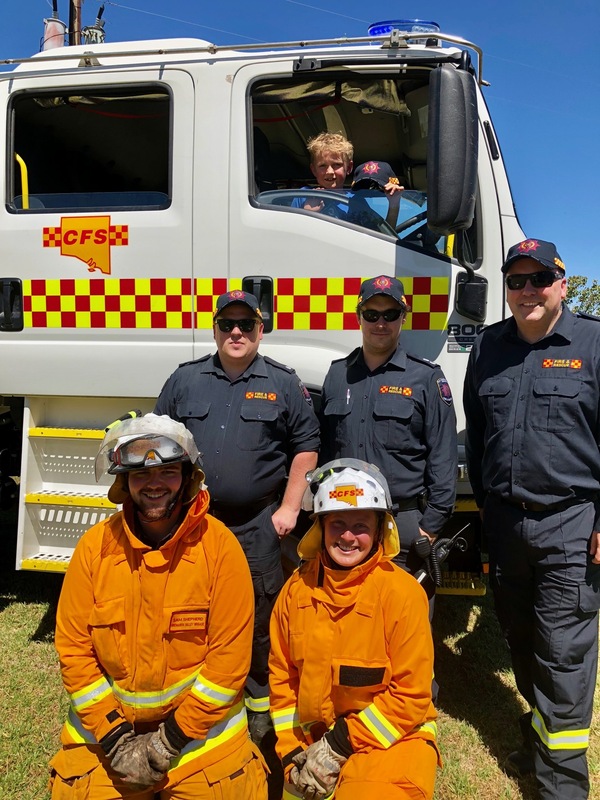 I contacted the brigade who were very humbled to receive this news and wanted to "SURPRISE" Jack with a visit from the CFS Truck during his party. The truck arrived to the party with the sirens going and everyone, including party guests, brigade members and of course Jack had a wonderful time. With Jack's party fundraising efforts, 13 Trauma Teddies were able to be purchased for the Hindmarsh Valley brigade. 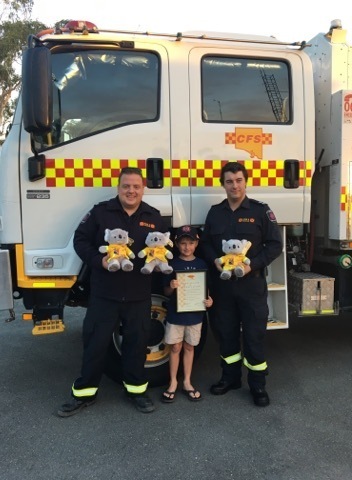 Jack presented the 13 Trauma Teddies to the Hindmarsh Valley brigade during the brigades training session in early March. It was a beautiful act of kindness from Jack and we hope that you had a wonderful birthday, with hope that one day you will become a CFS Volunteer. 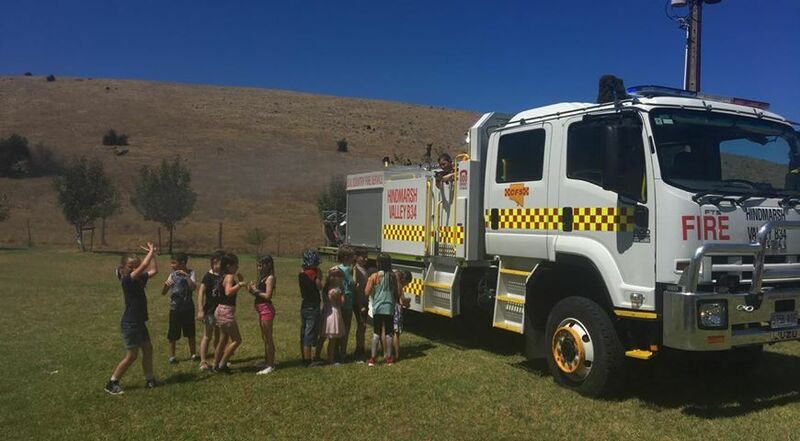 A special mention to the brigade members at Hindmarsh Valley for their efforts to take the truck to the party and be involved. A great day all round! Jack is presenting the Hindmarsh Valley brigade with the 13 Trauma Teddies that he was able to purchase with the donations from his party guests.